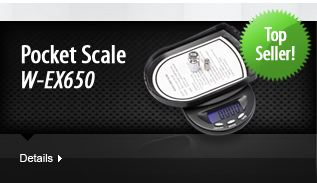 What is the warranty on WeighMax scales? 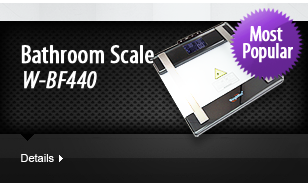 Can WeighMax scales be calibrated? When I turn on the scale, the display show "OUTZ", what does this mean? When I turn on the scale, the display show "Lo", what does this mean? When I turn on the scale, the display show "EEEE" or "EE", what does this mean? Can you make the scale under the customer's own design ? 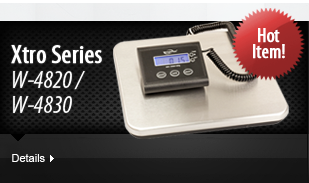 What sizes are available for WeighMax Scales? What shall I pay more attention on when using the scale? All WeighMax consumer scales come with a 5 year limited warranty for Kitchen Scale and Bathroom Scale, 10 year limited warranty for Postal Scale and Pocket Scale. Absolutely, WeighMax scales can be calibrated, please see the instruction manual for more details. OUTZ is displayed when too much force (i.e. overload) has affected, and potentially damaged the load-cell. "Lo" is displayed when the battery is running out, and you need to change the battery. "EEE" or "EE" is displayed when overload, please remove the items immediately to avoid damaging the scale. 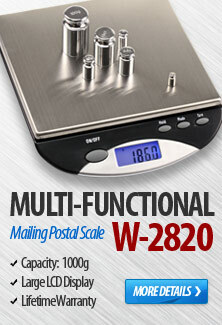 WeighMax scales are available in a wide range of sizes and capacities. Please see specific product specifications for more details. Please put the scale on a flat surface. Please do not use the scale in the shaking circumstance, otherwise the reading would not be accurate. Do not overload the scale, otherwise it will damage the scale. Please put the items in the middle of the scale platform to ensure the exact weighing. Use scale only in room temperature environment to ensure accurate weights. Please turn off scale when not in use to prevent corrosion and to sustain the scales usage.